I’m not sure if it stems from my narcissism but I’ve always wanted a huge David like sculpture of myself. Luckily for me I know of the man who can not only do this but help me realize how I really look, which I’m not sure I could take. 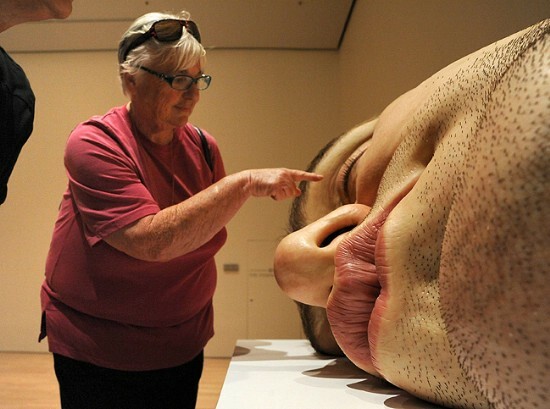 Today I present Ron Mueck. 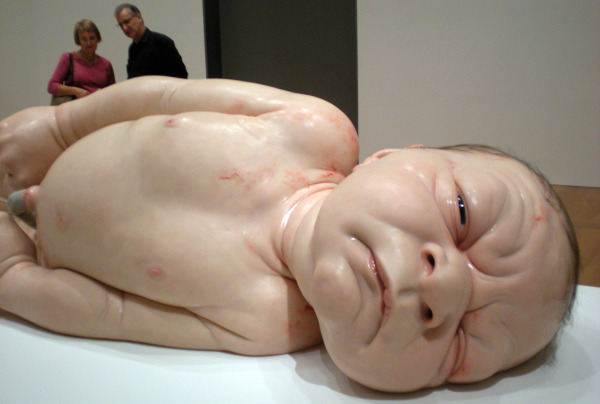 Hailing from Australia, Mueck is one of today’s great hyperrealist sculptors. Hyperrealism is the art movement of creations that look as if they were taken out of a hi-res photo. Since there is so much detail and authenticity, which is not easy, the theme and emotion of the piece is important. He started his career making, operating and voicing the puppets on an Australian children’s show, Shirl’s Neighbourhood. He has also worked on other children’s shows such as CBS Summer Playhouse, Queen of Hearts, and Gophers!. He was the man behind the creatures of Labyrinth. 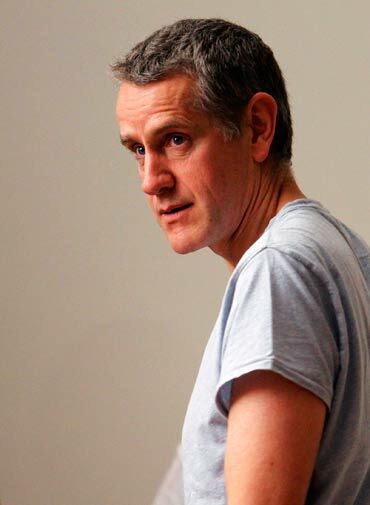 The majority of his work are of people, ranging from newborns to the elderly. I have to say most of his work is hard to miss since some stand well beyond 15 feet. 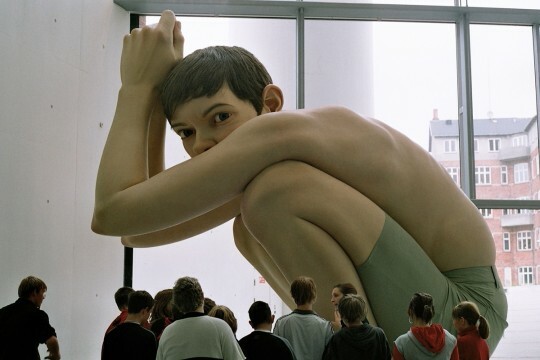 Not only are the sculptures hyperreal, but they are gigantic pieces, which is never easy for any medium. This attribute definitely takes his work to the next level. Take a look below. Extraordinary, aren’t they? 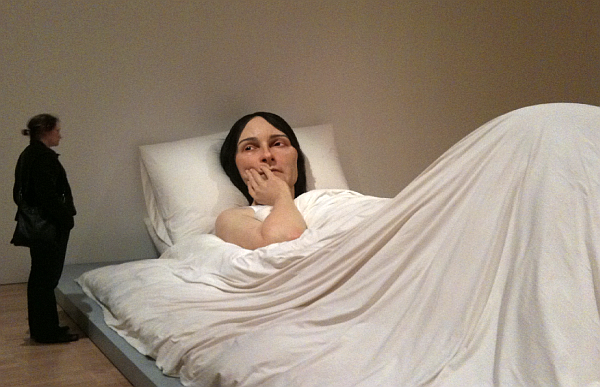 Unfortunately, Mueck doesn’t have an official website. I found a lot about him by googling his name, different archives and art boards. I discovered his last show was back in 2010, though “In Bed” will be apart of Queensland Galleries tour, which started back in September 2011, ending in July of this year. So if you can make it, definitely take the time to catch one of the shows. Below are bloopers from Shirl’s Neighbourhood. Enjoy and be inspired!